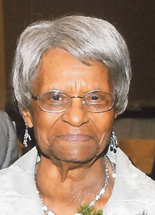 Overia “OV” Smith, an advocate and crusader for people who suffered from mental disabilities, and a woman who commanded the attention of elected officials for more than 50 years passed away on March 14. She was 99 years old. Inspired by a woman diagnosed as mentally retarded, June Patterson, who had been rejected from mental institutions, Smith set out on a life mission to treat and teach such individuals with care and love, shaping and molding them into the fabric of a normal society. Born on April 2, 1914 in Longview, Texas, Smith moved with her family to California in 1941. Her first business was Casserole Catering Company which hosted lavish events for such individuals as John F. Kennedy, President Lyndon Johnson, those in the movie and entertainment industry and other agencies, which allowed her to travel to Florida, Texas, Virginia and New Jersey. Locally, she catered events for the late Mayor Tom Bradley, former Los Angeles City Councilman David Cunningham and other local elected officials. She purchased her home in the Crenshaw District on Welland Ave in 2005 when she was 94 years old and drove herself back forth from church until she died of natural causes. Among the many legacies that she will leave is her work with South Central Los Angeles Regional Center, which contracts with the State Department of Developmental Services to coordinate services for individuals with developmental disabilities and their families. Smith is responsible for influencing legislation that prevented SCLARC from being shut down and now the organization has 21 regional centers serving communities throughout California. “She understood the legislation process very well and she traveled to Sacramento constantly throughout the years to advocate for organizations and individuals with mental disabilities,” said Congresswoman Maxine Waters. Rep. Waters considered Smith as a second mother, and credits her with the mentoring and grooming and informing the congresswoman about the field of mentally disabled. “She taught us what the mentally disabled were all about and fought for laws that allowed for operators of boarding care centers to earn credit for attending school to advance their education,” stated Waters. Just outside the dining area, a wall was covered with mementos such as photos of Smith, the Rev. Jesse Jackson, former Supervisor Yvonne B. Burke, former Congress­woman Diane E. Watson, late Mayor Tom Bradley, City Coun­cilman Herb Wesson, former President Bill and First Lady Hillary Clinton, countless certificates from late Supervisor Kenneth Hahn and many others. All are small reflections of a woman who served as a giant to individuals who are not capable of fighting for themselves. Smith was primarily responsible for influencing legislation that prevented companies and employers from discriminating against disabled people, especially those considered retarded. She scheduled field trips for many of her clients to such locations as Washington D.C, Hawaii and Tahiti. Whether it was Senator Rod Wright, Councilmember Bernard Parks or Congresswoman Janice Hahn, Smith was never concerned with what elected officials were saying. “I’m watching what you doing,” she’d say. OV Smith is survived by a daughter Maryett “Jeanie” Gordon Smith, a son Glen Smith, 17 grandchildren, 30 great grandchildren, four great-great grand children, and a host of other relatives and friends. Memorial services for Smith will be held on Saturday March 22 at Trinity Baptist Church.